I am back from my travels and I see that Sepia Saturday has gone from strength to strength in my absence. Once again I would like to thank Marilyn (Little Nell) for running the office so efficiently and effectively during my absence. I have come back to discover a new arrival in the form of our theme image for Sepia Saturday 134 (post your posts on or around Saturday 14 July). The photograph comes from the George Eastman Collection available on Flickr Commons and is entitled Autriche Vienne. In her note to me, Marilyn says of the image, that apart from the "baby and pram theme, there’s the Viennese connection, costume and rich patterns of the textiles". Maybe it's a gender thing, but I also see sleepless nights, smelly nappies, and endless worry and expense! Whatever your interpretation - or even if you want to ignore the theme and post an old image - post your posts, link them via the Linky List, and try and visit as many other Sepia contributors as possible. And don't forget to provide a link back to the Sepia Saturday Blog so that others are encouraged to take part in the sepia tour. As usual, we have a couple of sneak previews of the images that will be used for Sepia Saturdays 135 and 136. After that I am going with a suggestion made by Marilyn that we invite Sepia Saturday regulars to suggest archive theme images. This is slightly different from the past where we have invited suggestions for actual themes : by asking for theme images we are allowing for the freedom of creative interpretation which has become such a part of the Sepia Saturday experience. 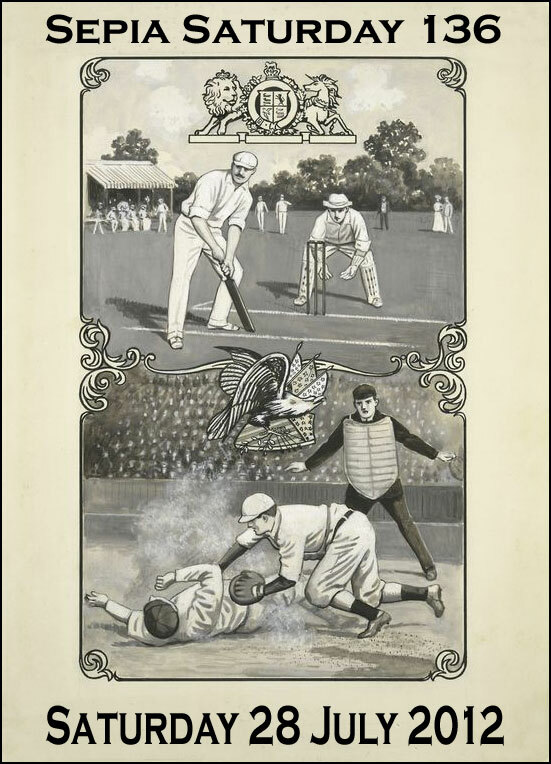 It is important to note that there must be no copyright restrictions on the suggested image (both Flickr Commons and Wikipedia are useful sources of such material) and that it is of medium or high quality (say 750 pixel by 500 pixels or above). 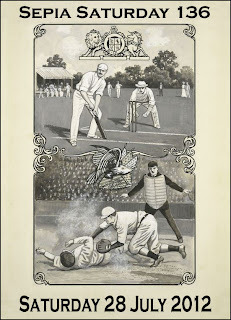 You could, if you so choose, submit one of your own archive images as a potential theme, and if you do so I will assume that you are giving Sepia Saturday permission to reproduce it. Just send me a link to the image, or in the case of your own images, the image file. I will try and make use of as many suggestions as possible over the coming weeks. 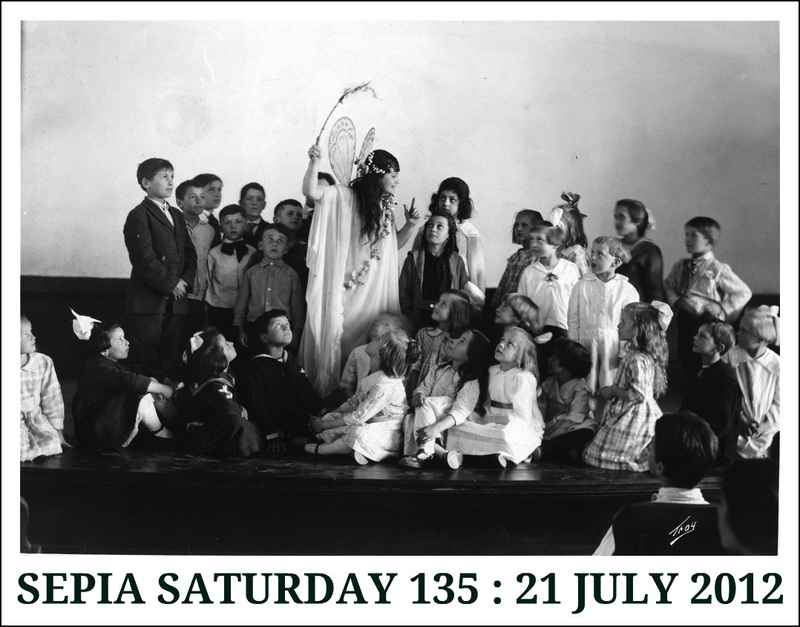 We have already got archive images for the next two Sepia Saturday weeks and here is a quick preview for those who like to plan ahead. So get posting and get linking. 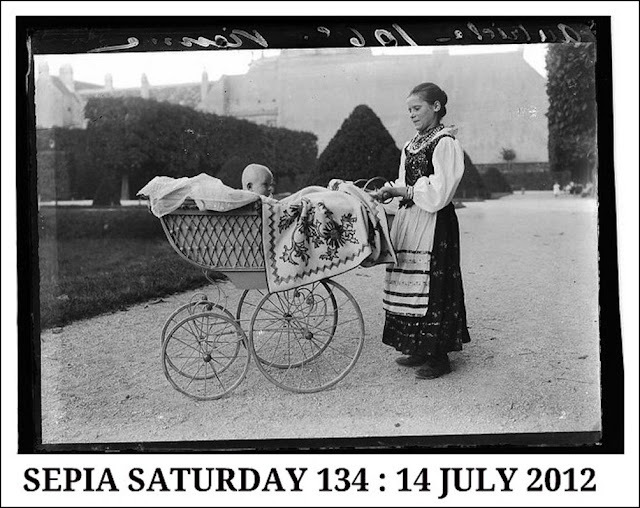 And when the weekend comes, put the baby in the pram and take a stroll around the other Sepia Saturday participants and enjoy the sights. I really enjoy participating in your weekly challenges so have nominated Sepia Saturday for an Illuminating Blogger Award. Ah, Vienna. I'm not sure if I can participate (it takes a lot of time) but this photo brings back a lot of nice memories of the beautiful gardens of Vienna. This picture was taken in the gardens of Schloss Belvedere. A few beauties wheeled out for you! 4 generations of family babies in buggies - 1930 - 2004. My Mom and her doll buggy and I also scanned "We Help Daddy". Easy reading for you this week, and I'll keep it to one post. I still need to visit most of you guys from last week and will be working on that (we were out of town). I have a comic postcard inspired by Alan's comments. Sorry, I've been away for four weeks, and am off again shortly, but hopefully will manage to squeeze in a couple of contributions while I'm at home. Like Rob, I recognised the location because I've walked in this exact spot. Visits to the Belvedere Gardens and the art galleries in the Upper and Lower Belvedere are not to be passed up! I am early this week as I am away the weekend (with the girl in the pram in my picture). Hopefully I will be able to get a decent wifi connection so I will be able to get around everyone. I keep thinking I will be less busy and will be able to participate in Sepia Saturday, but, alas, not this weekend. I hope to drop in and see some of your posts though. I Have Parked My Pram. One baby carriage for me. I pushed the pram around the world a bit. Fun looking through my pictures to participate! Lots of material here to choose from. I particularly like this theme, I have a pram from 1935. Enjoy. I seem to possess a plethora of prams but have kept it a trio. Fun theme. I am on theme but a bit different from my usual musical theme. Catch the surprise at the end. Family pics of babies on wheels - a carriage, wagon & several strollers. Welcome back Alan. Hope you had a good break and saw some sun (actually I was hoping you would have brought some back wth you as we are in short supply here). My submission is now posted. A real old picture this time. Happy to share with you all. I'm squeaking in on Sat. morning this week...will take a breather and look at everyone who got here earlier soon! Welcome back Alan! Glad to have your keen sense of humor and wit back, but know that Marilyn did a marvelous job while you were away! Can't do a pram in Vienna, but I can do one in 1926 in Oakland, CA from Aunt Ruth's scrapbook. I've got a special photo of my mom as a baby with her mother. A rather fine pram with some added decoration! Okay, here I am again, you can delete my first entry! I had a 100 pound dog barking at me (literally)to feed him last night while I was trying complete my entry!